10 for 8 on fitness classes is officially OPEN! With the sun finally shining (hooray! ), it’s time to get spring/summer body confident, and you won’t find a better, more fun way to do it than by bouncing your way to a toned, lean, defined body! With a special offer of 10 sessions for the price of 8, starting on Monday 16th April, you’ve got the perfect kick start. With Ria from RB Fit Training and Elly from BB Active you’ll work hard and reap huge rewards – and do it with an ENORMOUS smile on your face. Sign up in advance by calling 01273 580029 or at your first session in person. See you in the park, raring to go! *offer must be used between 16th April and 31st July. Offer can be used up to a maximum of two times. 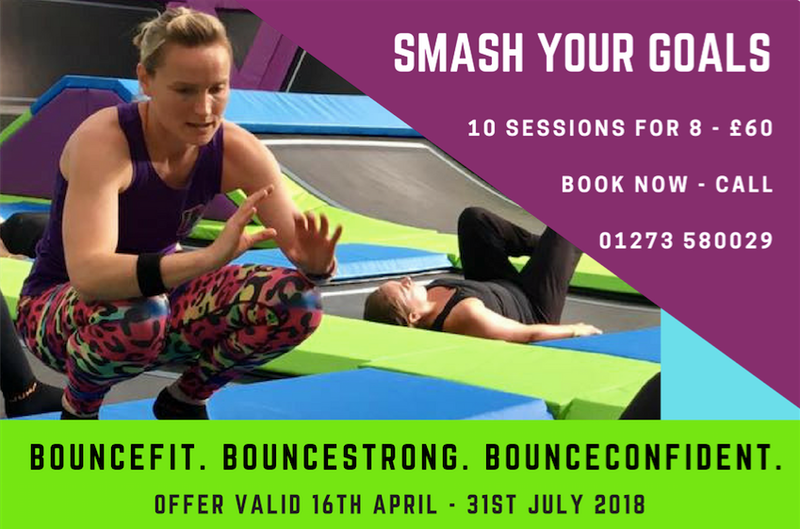 Offer can be used at both BounceFIT and BounceSTRONG classes. Sessions cannot be carried over after 31st July closing date.